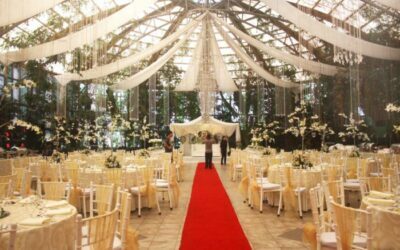 The first thing to do is to block the date for the reception and the ceremony. 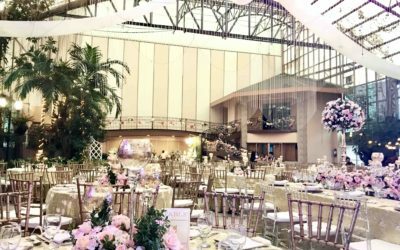 Our Wedding Package includes our air-conditioned Garden Venue (choice of Emerald or Diamond Garden), exquisite dining by our Accredited Caterers and a 3-Layered Cake. Want to reduce your worries? 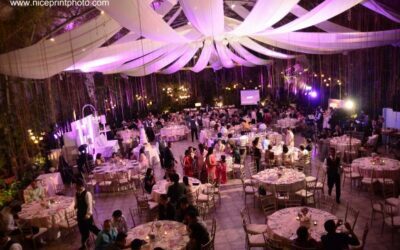 Opt for our Essential Upgrades that includes Lights and Sounds, LCD Projector and Crystal Chandeliers. Busy with work? Living abroad? 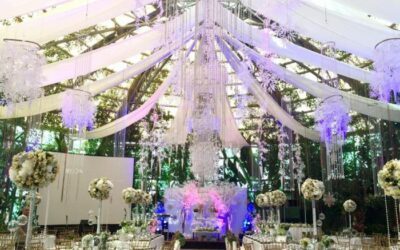 Stressed and overwhelmed with all the details? 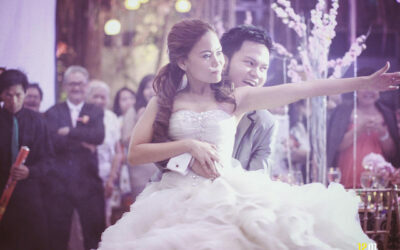 We’ve got you covered with our Comprehensive Wedding Package. 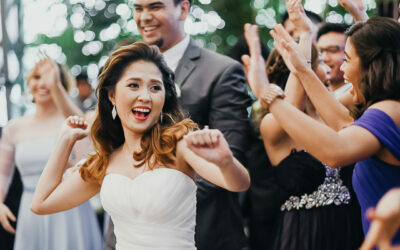 It includes everything in our Wedding Package plus your Custom Bridal Gown by Camille Garcia, Photo and Video Coverage, On the Day Coordination and Photo booth. 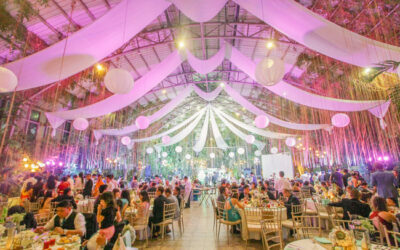 Note: Complimentary Items vary per caterer. One 3-CCD Digital Camera Set-up. 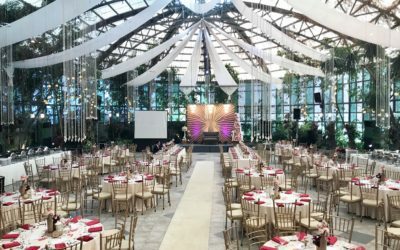 Absolutely in love with this ultra chic Barnyard-themed wedding happening now at The Glass Garden. 😍 Simply Pinterest-worthy at every angle. Here we bring the outdoors in without having to go out of town. 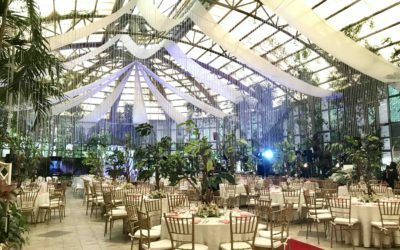 Celebrating Raul and Susanna’s beautiful bright wedding in hues of pastel yellow and white at the Diamond Garden. 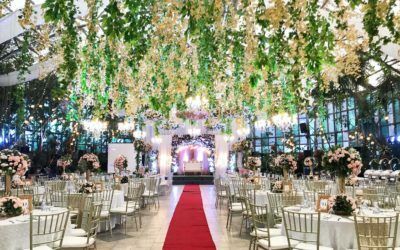 Enzo and Janna’s spring-inspired wedding was simply a feast for the eyes… no detail was too small to be left unnoticed and if you like flowers, get ready to fall in love. 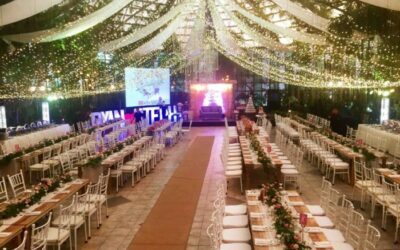 Denz and Karen celebrated their wedding in the eyes of God and before family and friends with a beautiful garden as their backdrop. 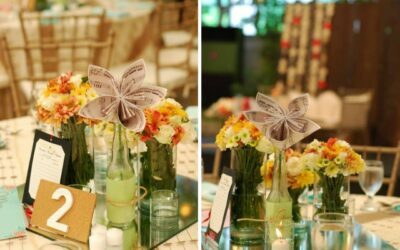 Table centerpieces held an array of fresh floral arrangements in summer colors along with DIY paper flowers made of music sheets. 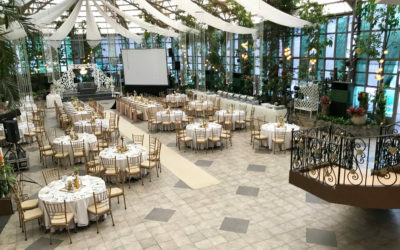 From using wooden touches covered with lace table runners to displaying soft garden greens at the reception, it was the perfect intimate and elegant celebration that Kenneth and Peevee envisioned. 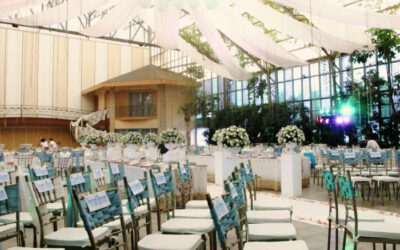 Paul and Chinky’s celebration was woven from one delightful detail to another in a delicate dusty blue hue. 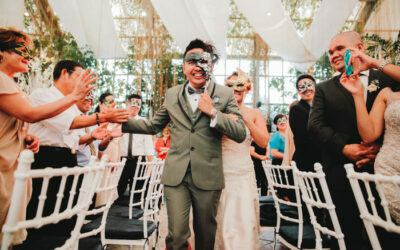 Immerse yourself in the Venetian spirit of romance with a bold black and white tablescape and colorful masks. 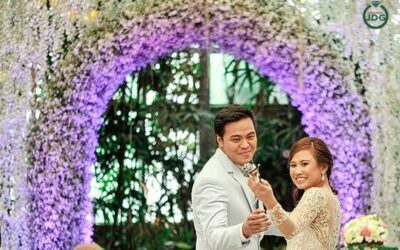 Dynamic duo Ninoy and Bessie planned to make their wedding a really fun one. 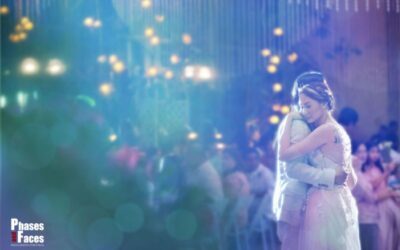 And they did it with a program that made all the guests stand up and dance. 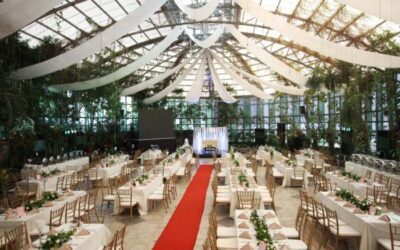 Add Japanese inspired details like the origami area, paper lanterns, and you have a lovely Japanese garden wedding. Who knew that tattoos, flowers, fun summer colors and vintage styling could go well together? 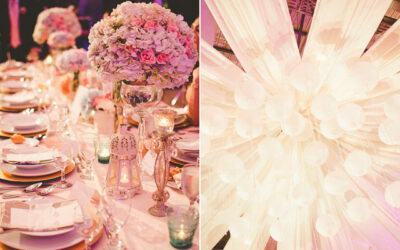 Today’s featured wedding is an interesting medley of various ideas. 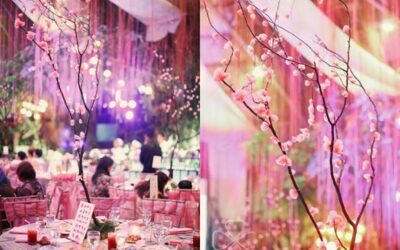 Bright paper pinwheels made their way to the table decors, the cake, and even the groom’s boutonniere, giving a playful air the celebration.